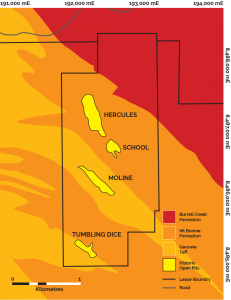 The Moline Project, which lies on granted mineral leases approximately 65 kilometres to the east of the Hayes Creek Project, is highly prospective for gold and base metals mineralisation and comprises four key areas: Moline, School, Tumbling Dice, and Hercules. During 2016 PNX completed a 12 hole RC drill program at the Moline, School and Tumbling Dice prospects. 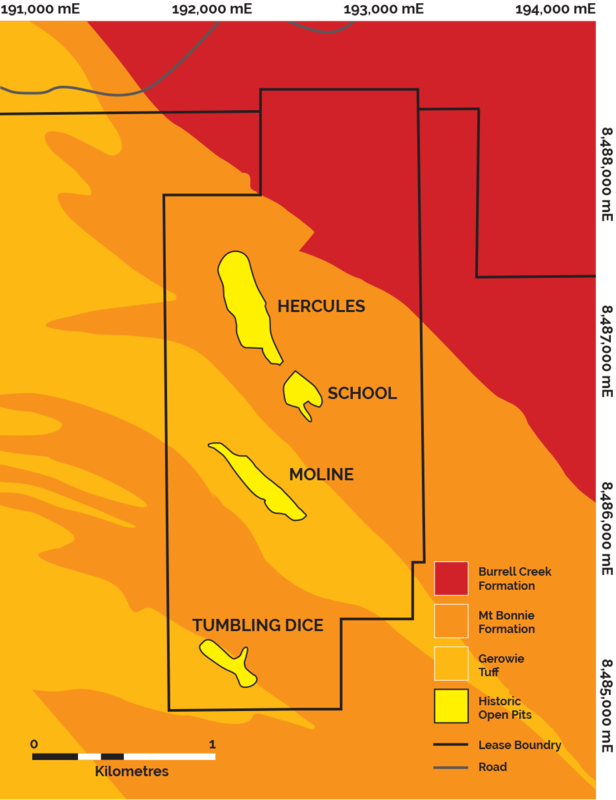 The drill program was designed to test three mineralised structures that were partly mined for oxide gold mineralisation in the early 1990s. Significant drill intercepts were returned at each prospect drilled. 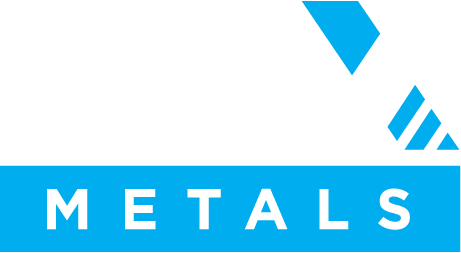 In particular, excellent results were received at the School prospect, including the best known grades of gold mineralisation recorded there. 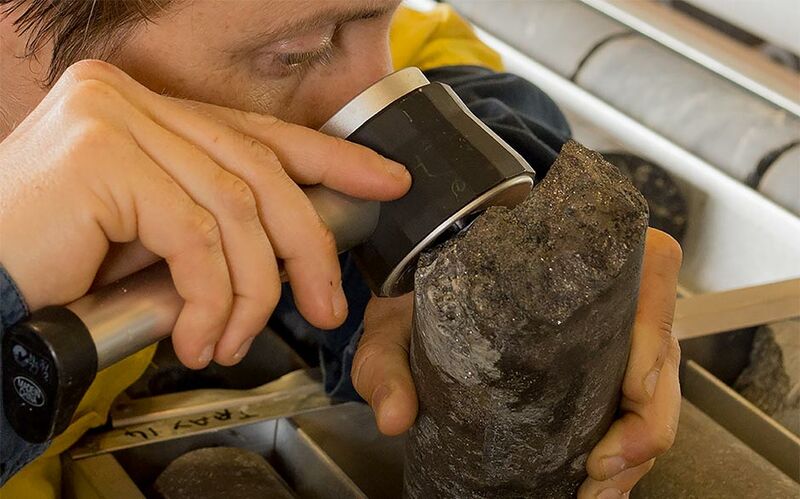 Mineralisation is open in all directions, providing significant scope for further exploration success. 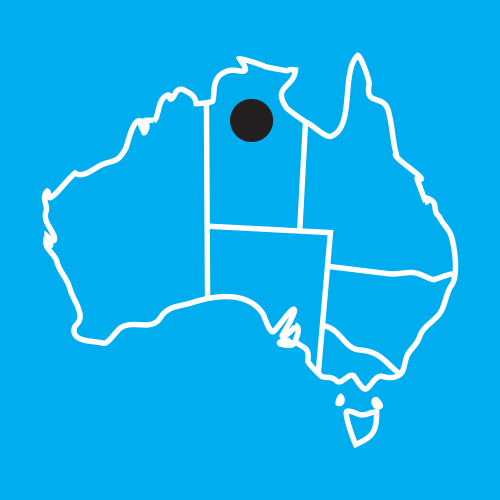 A follow-up drill program at the Moline Project commenced in July 2017, consisting of a planned 15 RC hole program at School, Tumbling Dice and Redback, the latter located along strike from the School prospect. Drilling at the Hercules prospect, which could not be completed in 2016 due to weather, is also planned in the near future. 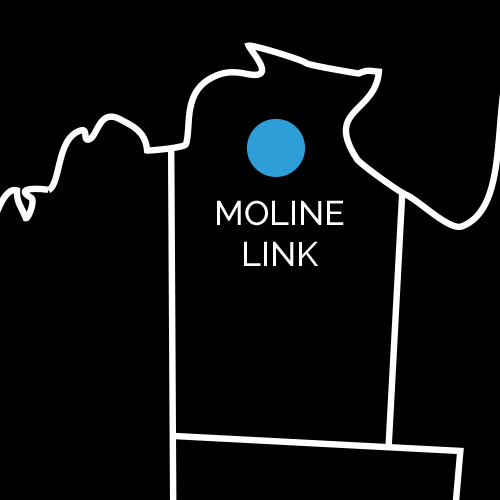 Should a mineral resource be defined at Moline, it may be able to be combined with and enhance the Company’s existing mineral resources at the Hayes Creek project just 65 kilometres away.